The term throat cancer refers to the development of cancerous tumors in the pharynx, larynx or tonsils. Treatment for throat cancer generally involves radiation therapy, which can result in inflammation of the throat and mouth and throat soreness or intense burning. These side effects increase the difficulty a throat cancer patient experiences when trying to eat. Because of this, a soft diet, which consists of foods that are easy to chew or swallow, is often recommended for someone with throat cancer. 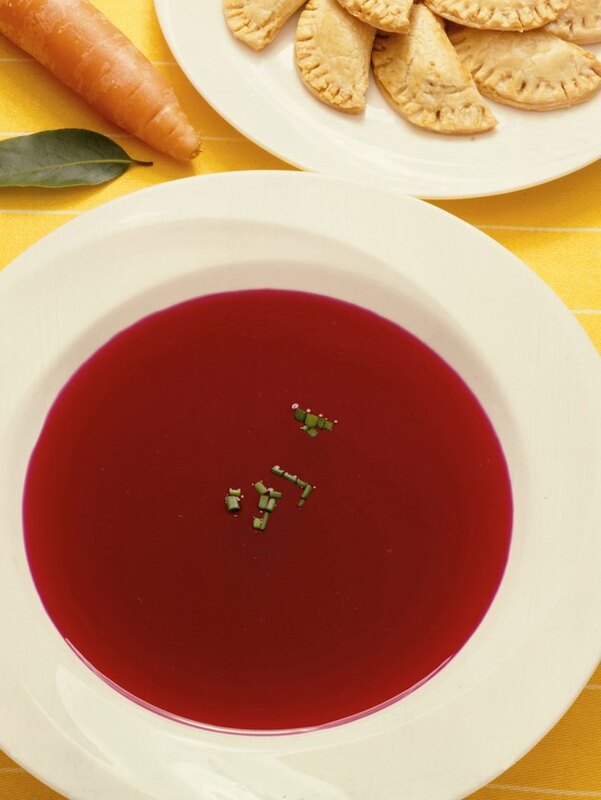 Any mild soups, creamed soups and strained vegetable soups are permitted on a soft diet. You can also consume refined grains, white rice, pasta, yogurt, mild cheeses and cottage cheese. Fruits and vegetables are permitted, but they should be cooked or canned, with the exception of lettuce, tomato, banana and avocado. Tender meats, such as fish, skinless poultry and filet mignon, eggs and peanut butter are also allowed. Fats, such as butter, mayonnaise, vegetable oil, cream and sour cream, are also part of a soft diet. In fact, adding fats to foods may soften them and make them easier to tolerate. Most beverages are permitted on a soft diet, although the National Cancer Institute recommends staying away from hot beverages, alcohol and fruit juices that contain a high acid content, such as tomato juice, lemonade and orange juice, if mouth soreness is a problem. Avoid any foods that are hard, spicy or difficult to chew and swallow. This includes chunky soups such as chowder, fried foods, fish with bones, sharp cheeses, cold cuts, whole wheat breads, whole grain cereals and breads that contain nuts or seeds. Avoid all raw fruits and vegetables and fried vegetables, such as French fries and hash browns. In addition to the types of foods you eat, it is also beneficial to change your eating habits. Divide meals into five or six small meals each day instead of three large meals. Eating smaller meals may be easier on your throat. Cut food into smaller pieces. Even if the food is soft to begin with, smaller pieces are easier to chew and swallow and may be less troublesome than large pieces of food. Pureeing or blending foods also improves the texture, making them easier to swallow. The National Cancer Institute also recommends sitting upright and bending your head forward when eating or drinking. This makes the process of swallowing easier and may put less strain on your throat. Drinking liquids through a straw may also make it easier for you to swallow them. Unlike other medical diets, the soft diet meets the recommended dietary allowances, or RDAs, for all of the essential nutrients. Because throat cancer and radiation therapy decrease your appetite and make it physically difficult for you to eat, however, you may be at risk of nutritional deficiencies. Discuss the possible need for nutrient supplements with your dietitian. While the soft diet provides general guidelines for all patients with difficulty eating, one person may be able to tolerate a specific type of food that causes discomfort in another. Work with a dietitian or your doctor to determine the best diet plan for you. How Soon Can You Eat After Tooth Extraction?